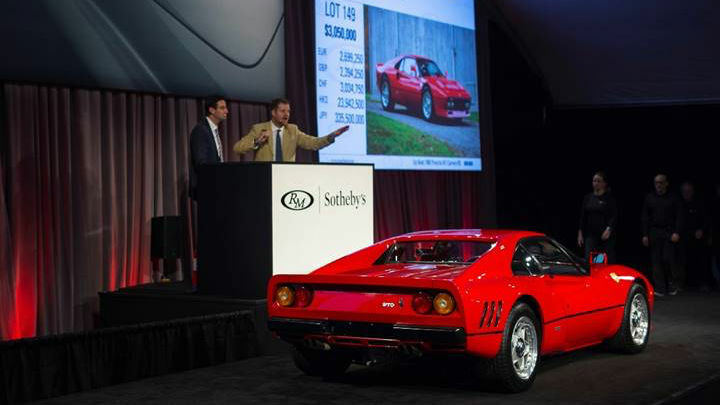 A 1985 Ferrari 288 GTO sold for $3,360,000 and a 1967 Ferrari 330 GTS for $2,012,500 as the top results at the RM Sotheby’s Arizona 2019 sale during the annual Scottsdale collector cars auction week. 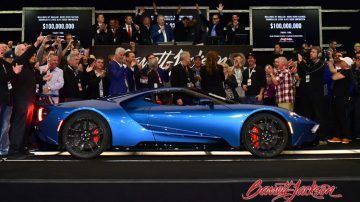 The highest results at the RM Sotheby’s Arizona 2019 sale were for two Ferraris but not the two pre-sale favorites. The top result was a very strong $3,360,000 for a low-mileage 1985 Ferrari 288 GTO while a 1967 Ferrari 330 GTS sold for $2,012,500. The 1958 BMW 507 Roadster Series II sold in a post-hammer deal for $2,175,000. Neither the 1957 Ferrari 250 GT Coupe Speciale that originally belonged to the Belgian royal family nor the 2017 Ferrari LaFerrari Aperta sold. 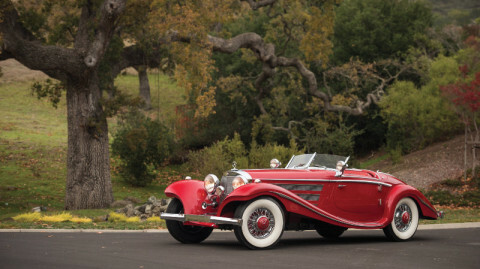 Of the 15 cars with million-dollar estimates, only eight found buyers and only six sold for over a million dollar. RM Sotheby’s scheduled its 20th annual Arizona classic car auction on 17 & 18 January 2019 at the Arizona Biltmore Resort & Spa in Phoenix, Arizona. In 2019, RM Sotheby’s earned $37 million with a sell-through rate of 85% of 154 lots on offer. According to Hagerthy, the average sale price was $273,710 per car. With the 1957 Ferrari 250 GT Coupe Speciale and the 2017 Ferrari LaFerrari Aperta failing to sell at RM Sotheby’s Arizona 2019, the top result was somewhat unexpectedly for a 1985 Ferrari 288 GTO that sold for a very strong $3,360,000. Ironically, 288 GTOs often struggled to find buyers at recent auctions and in recent years the only more expensive 288 GTO was the near $4 million achieved by RM Sotheby’s at Maranello 2017. The $2.5 million paid for a 288 GTO at Gooding Scottsdale 2019 is closer to the norm for the model. 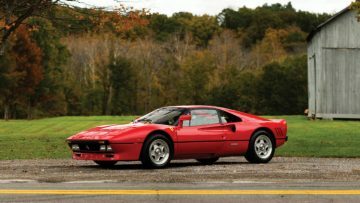 The 1985 Ferrari 288 GTO sold at RM Sotheby’s Arizona 2019 is a low-mileage US example with only 2,900 miles from new. Only 272 Ferrari 288 GTOs were ever produced. 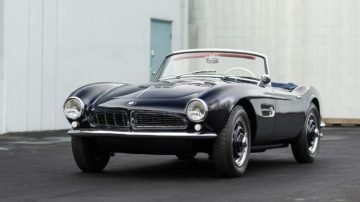 The in-auction highest bid of $2,150,000 for the 1958 BMW 507 Roadster Series II was initially refused but the car was sold post-hammer for $2,175,000. Accepting the bid in-auction would have yielded the seller more and the buyer gained the most. The bid price was totally reasonable for the model – the $3 and $5 million results Bonhams achieved in 2018 were for cars with exceptional provenance. 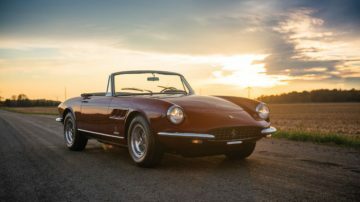 The second highest result at the RM Sotheby’s Arizona 2019 sale was $2,012,500 for a 1967 Ferrari 330 GTS. This car was the 71st of only 100 produced. It has 33,750 km on the clock and was offered from the Skip Barber Collection. A highly-optioned 2017 Ferrari F12tdf, offered from single ownership in as-new condition, sold for $1,006,000. This car has fewer than 280 miles and is finished in Grigio Titanio over two-tone blue interior. The 1948 Tucker 48 was the 40th of only 51 ever built and is freshly restored and fitted with a factory spare engine. 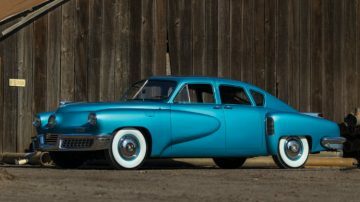 It sold for mid-estimate $1,600,000 – two Tuckers achieved around $1.8 million at auctions in 2018. The 1956 Bentley S1 Continental Drophead Coupe sold for $1,077,500 – the third car to exceed a million dollar in the past two years. This Bentley is one of 31 left-hand drive examples with bodywork by Park Ward. Cars above $10 million have struggled at auctions in the past year and only exceptional cars sold. 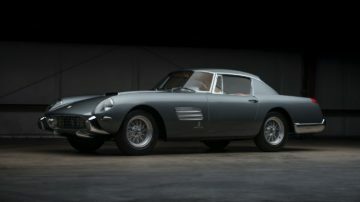 Buyers clearly did not consider the one-off 1957 Ferrari 250 GT Coupe Speciale, chassis 0751, special enough. It is similarly somewhat heartening that buyers were not prepared to hand the seller of the 2017 Ferrari LaFerrari Aperta a quick enormous profit – a similar Aperta failed to sell at Mecum Kissimmee 2019 a few days earlier, although the delivery-mileage car in Florida achieved a highest unsuccessful bid of $6.1 million (it is still available for $7 million). Several bids came near estimate and others were reasonable for the cars on offer and sellers may regret not taking the money. The 1958 BMW 507 Roadster sensibly sold post-hammer but accepting the in-auction bid would have been more profitable for the seller. 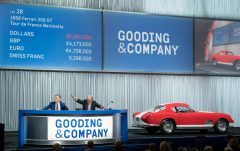 The bids for the two Mercedes Benz 300 SLs also reflect the state of the market and the oversupply of the model at auctions – seven were available at the various Scottsdale 2019 sales!